Which Celebrity Jewelry styles are going to be hot this winter? Just because you’ll be more covered up this winter, it doesn’t mean your jewelry needs to be too. Take inspiration from celebrity jewelry styles for your winter accessorizing goals. The key in jewelry this winter is the bigger, the better. From Beyonce’s iconic bib necklace in the apesh*t video to Blake Lively’s colorful gemstones, this winter jewelry takes center stage. Scroll down for our celebrity jewelry style inspiration that will warm your heart this winter. 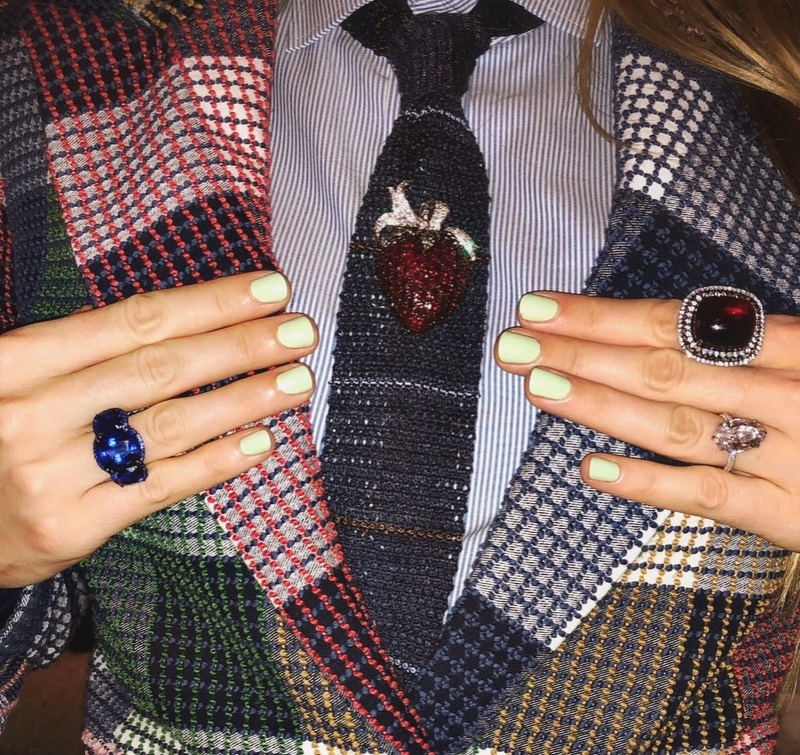 Blake Lively is known to be daring with her jewelry choices and she definitely isn’t shying away from the multicolored gemstone trend. A large ruby ring, a deep cobalt blue stunner, and pink gemstone studs. These all work together as far as Blake Lively is concerned. Get ready to get your bling on this winter. There is no such thing as clashing colors when it comes to gemstones so you might as well wear every single one. Stack on the rings with massive rocks, cover your neck in gemstones in every color and have playful studs catch the light in every hue. With the celebrity jewelry trend in gemstones, you can take a lesson from your grandmother’s jewelry box. Think of the classic yellow gold and ruby ring, a white gold and purple amethyst pendant necklace or jade drop earrings. And then wear them all together because this winter, the saying “the more the merrier” applies. Don’t worry, you won’t look like a Christmas tree. Bibs are not for messy babies when they feature diamonds. The stunning diamond bib necklace Beyonce wore in the equally stunning apesh*t video clip is a celebrity jewelry trend about to peak this winter. A bib necklace is worn on the collarbone but extends further down to the top of your bust. Bib necklaces are an evolution of the choker necklaces that were so popular last year. But fashion never rests and it is time to move on. A bib necklace makes for a dazzling statement piece. It is the glamorous older sister of the edgy choker. This celebrity jewelry inspired piece will brighten up any flat winter outfit. The shinier and the more intricate the better. Wear it with a thin turtleneck in a muted color or with a sleek jacket and a low cut top. Don’t worry, you don’t have to start saving up to be able to afford as many diamonds as Beyonce. You can adopt the celebrity jewelry gemstone trend for your bib necklace too. Alternatively, choose a piece with shiny glass or cubic zirconia. Pearls are no longer reserved for posh ladies and little girls playing princess. This classy delicate style is making a comeback in celebrity jewelry. Always willing to dress boldly actress Tracee Ellis Ross wears her pearls with style. Look at the gorgeous dangling pearl and yellow gold earrings she wore at the 2018 Golden Globe Awards. The difference between your grandmama’s pearls and your own new pearl jewelry piece is the size. Again, the bigger the better is the mantra for this winter’s celebrity jewelry style. 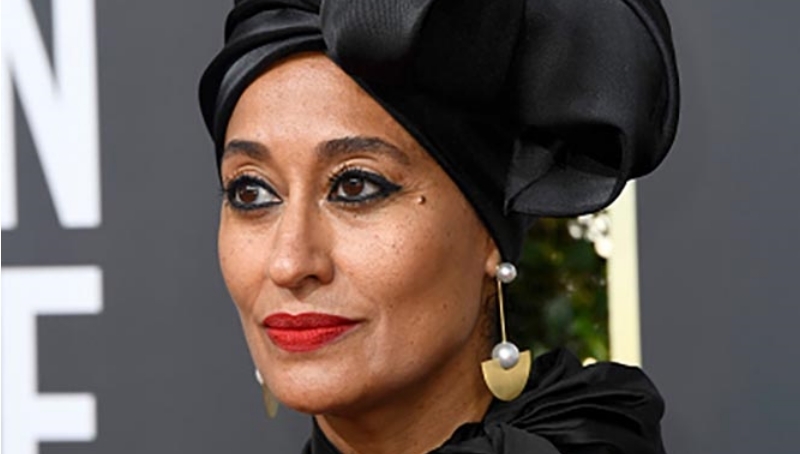 You can choose a celebrity jewelry piece that incorporates pearls into a design with other materials like Tracee Ellis Ross did. This downplays the association with retro pearls. Or, you can combine both trends and choose a bib necklace made entirely out of pearls. Celebrity jewelry is going back to the eighties, or did we never truly leave this decade? At the 2018 Golden Globes, Reese Witherspoon rocked diamond earrings in a typical eighties design of Pegasus wings. Eighties studs were big. We mean, huge. We mean, massive. Yet, since they are still studs, this is a celebrity jewelry style that can be very practical. You can wear your eighties inspired studs to work with your hair up in a bun. For the office, choose a muted color to offset the large design. If you prefer more color than Witherspoon’s choice of earrings, feel free to go crazy. The brighter, the better is an extension of this winter’s celebrity jewelry mantra. Those red and black striped oval studs you still have at the bottom of your jewelry box? Perhaps, it is time to take them back out into the world. This winter, celebrity jewelry style is telling you that more is more. Be bold with large jewelry pieces, lots of colorful gemstones and a modern spin on pearls. Excited to layer on the celebrity jewelry? For more jewelry styles, read our other articles as well. Also, don’t forget to check out our statement jewelry collections by visiting Ana Luisa online jewelry shop.